Mitch Kapor likes to solve problems. In the 80’s, he was the guy behind Lotus 1-2-3, the first killer app for computers. More recently he decided to tackle a a simpler problem – synchronizing Firefox bookmarks across multiple computers. His popular Firefox plugin, Foxmarks, has been downloaded 700,000 times and has 350,000 active users. All those users create some very well organized bookmark data. 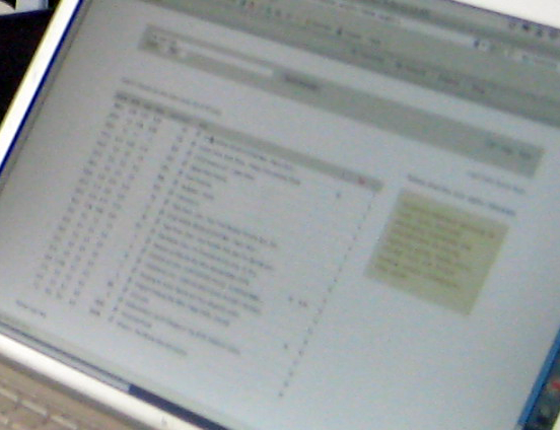 Unlike Del.icio.us, where people throw thousands of bookmarks for later reference, users tend to have fewer, but more important, bookmarks linked directly from their browser. And they spend more time properly annotating those bookmarks, Kapor says. So far, Foxmarks is tracking 250 million bookmarks, from 20 million unique URLs. And now Kapor, along with his partner, Todd Agulnick, are going to use that data to launch a new search engine. Expect it to debut in a few months. The Foxmarks search engine is based entirely on user bookmarks and the associated metadata. Don’t expect pages and pages of results like you get with Google. But you will get a few results for most queries that are highly relevant and on target. When returning and ranking results, Foxmarks takes into consideration the text in the title of the URL, the names of any folders people have put the bookmarks in, and any descriptions added by users. All of this information is shown in the results. See the very hazy screen shot below for the current user interface, which Kapor says will change before launch. Kapor demo’d the product for me over the weekend at Foo Camp, and it definitely has a “wow” factor. Searches for most things ended up with incredible results. Foxmarks also shows if the results appear on Google and Yahoo, and on what page in the results they appear. For many of the queries, the top result on Foxmarks was quite obviously the perfect result – but it appeared, if at all, deep on the result set for Google and Yahoo. Terms that are likely to have a lot of SEO pollution (ecommerce in particular), the results were strikingly better on Foxmarks v. Google. Compare Foxmarks to recently launched Mahalo, which also provides human powered results. The big difference between the two startups is that Mahalo’s results are created for the explicit purpose of providing a search service, whereas Foxmarks is using the fact that excellent data is being created as a byproduct for its primary service to create a search service on the side. We’ll have to wait until a full launch of Foxmarks to do a side-by-side comparison.